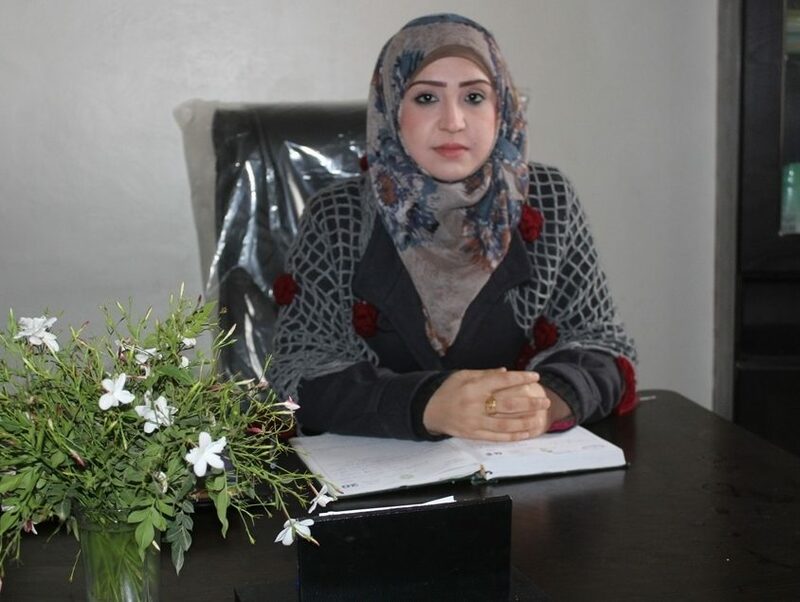 The House of Co-operatives in Tabqa is preparing to open two women’s co-ops in Tabqa. To understand more about the kinds of projects that the House of Co-operatives is setting up we’ve interviewed Najma Hilal, the co-chair of The House of Cooperatives. She said that the aim of these two co-operatives is to employ as many women as possible who are looking for jobs, activate their role in society, develop their skills, empower them, and allow them to achieve self-sufficiency, which will improve the women’s economy. Najma said that the project includes two co-operatives. The first is The Women of Euphrates, which will produce wool and beads, and recycle textile and cardboard boxes. It includes five machines for sewing and embroidery. The co-operative has 18 members, both men and women. More people are able to join, and the minimum price for a share is 10,000 SYP [about £15]. The co-operative is near the cultural centre. Najma said that a lot women want to join the co-operative. The budget for the project is about 1,000,000 SYP, and it will begin operating in a month.